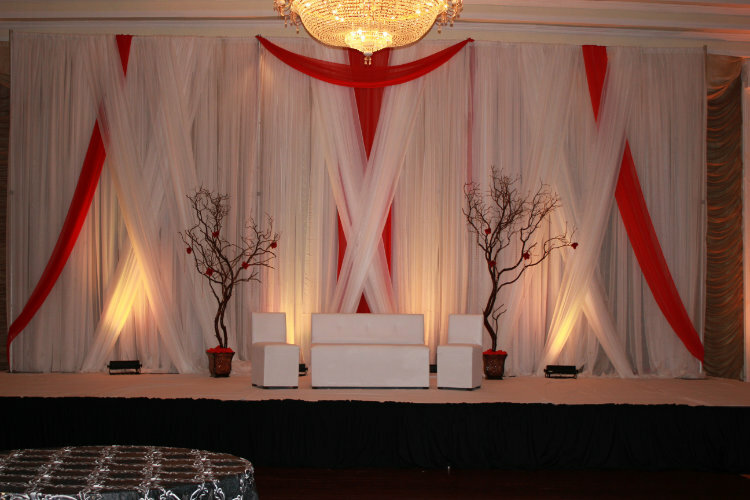 Add elegance to any event with pipe & drape! 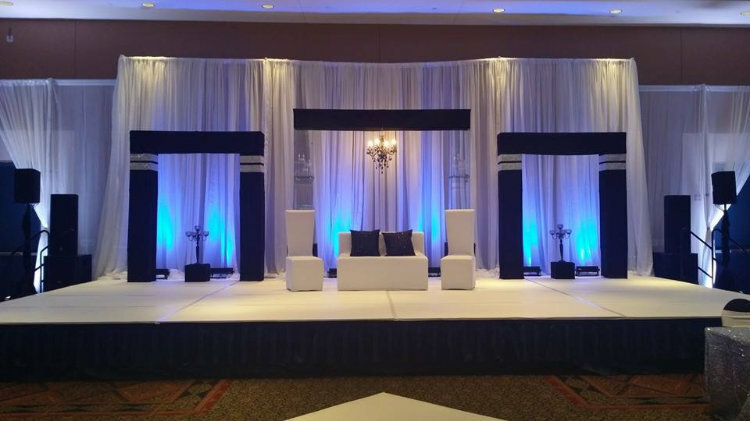 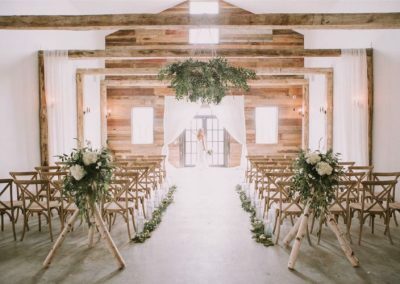 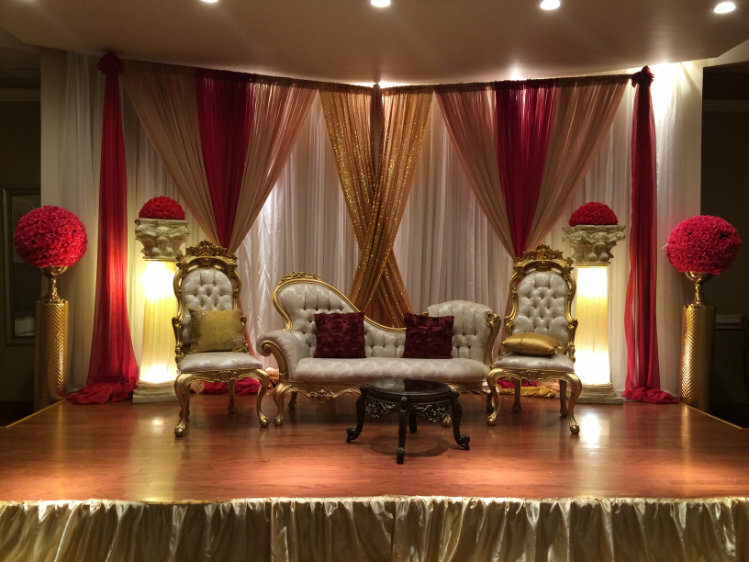 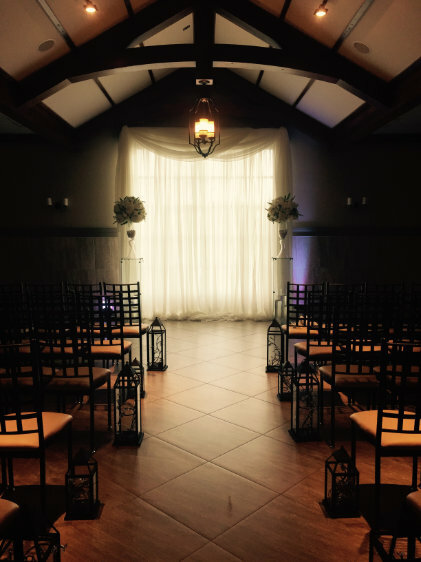 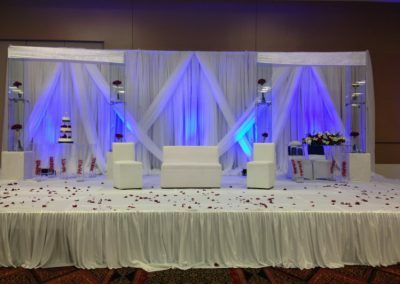 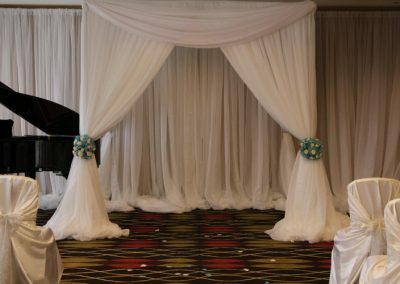 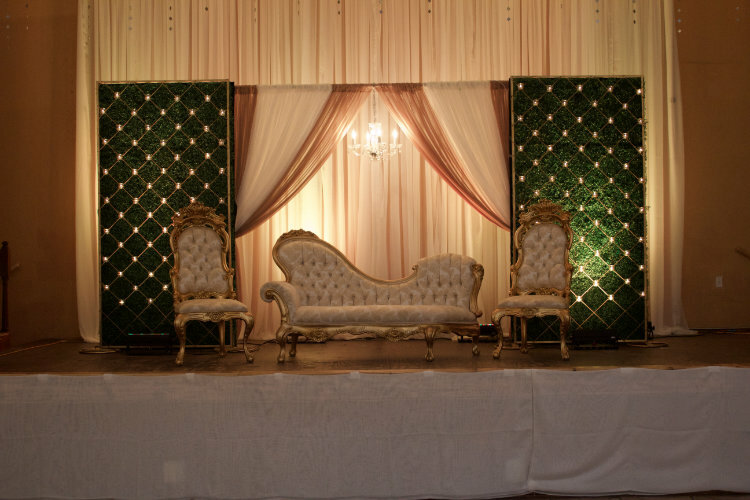 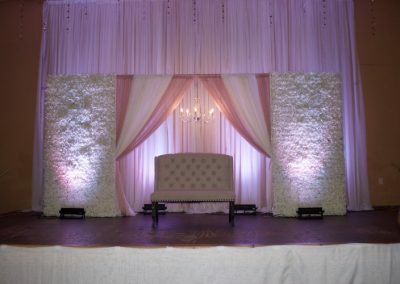 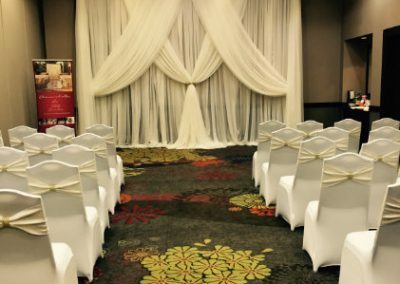 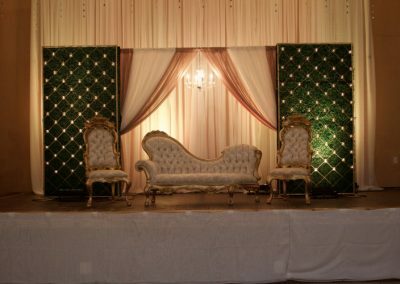 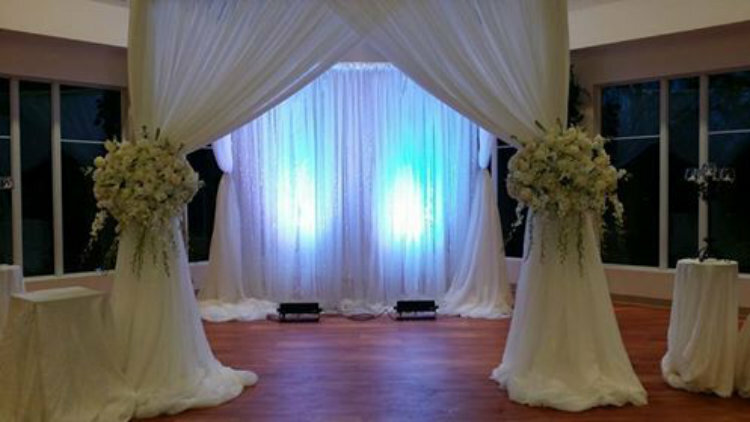 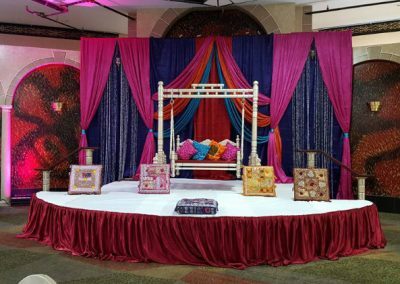 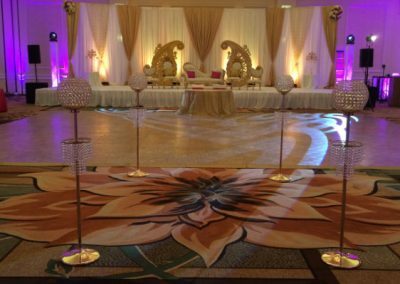 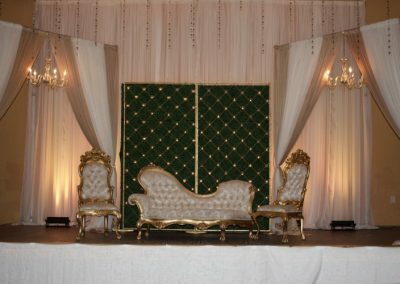 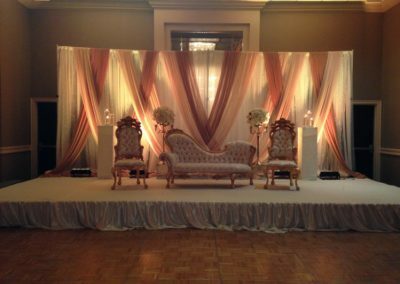 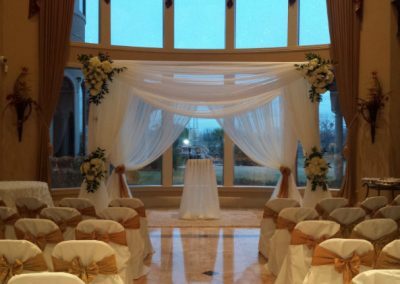 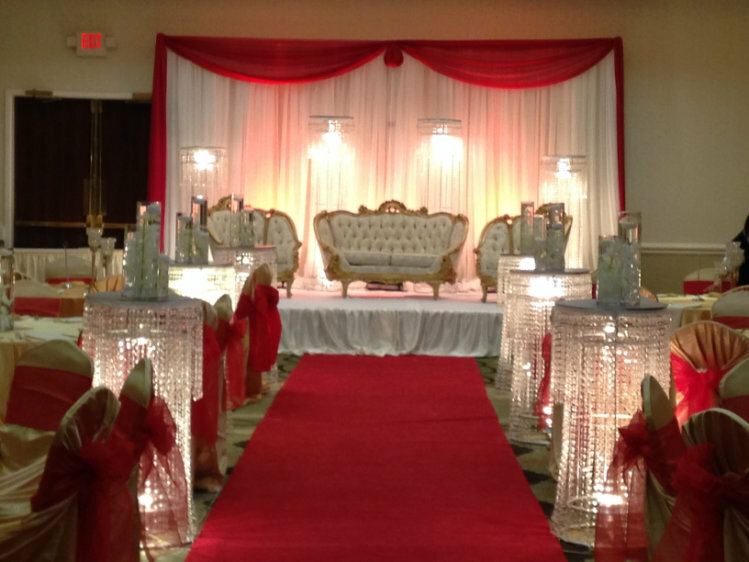 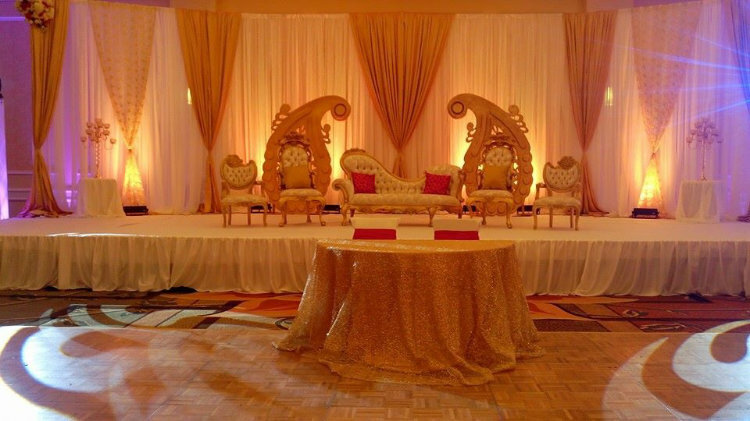 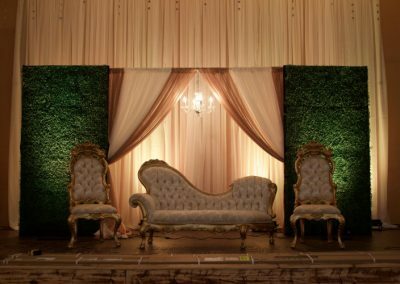 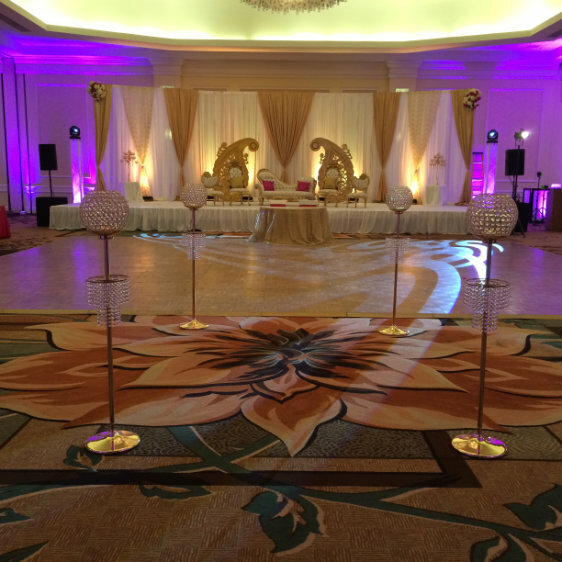 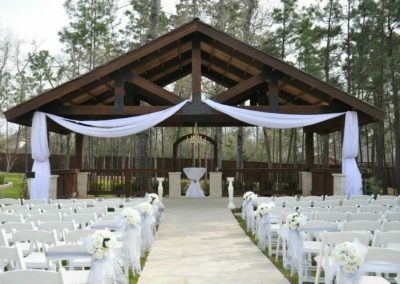 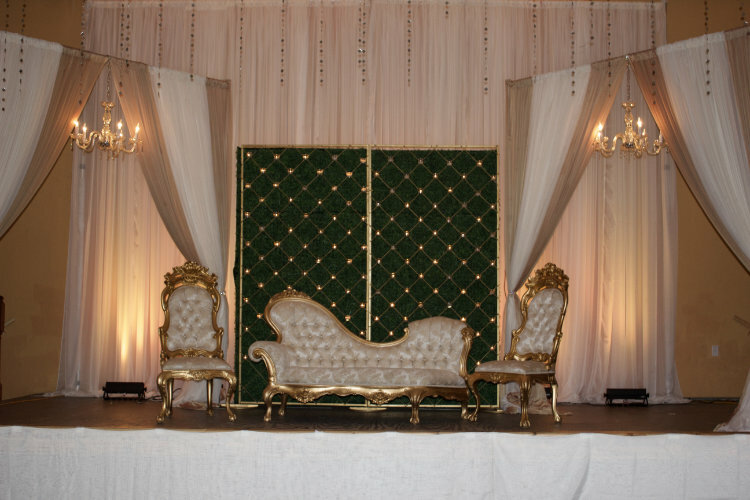 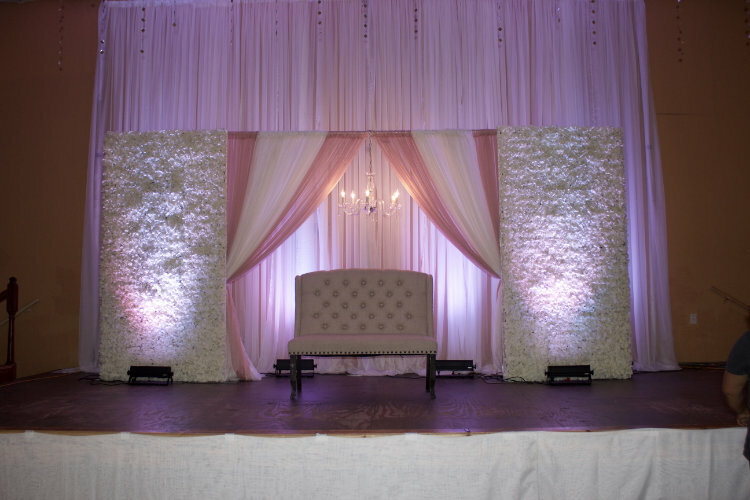 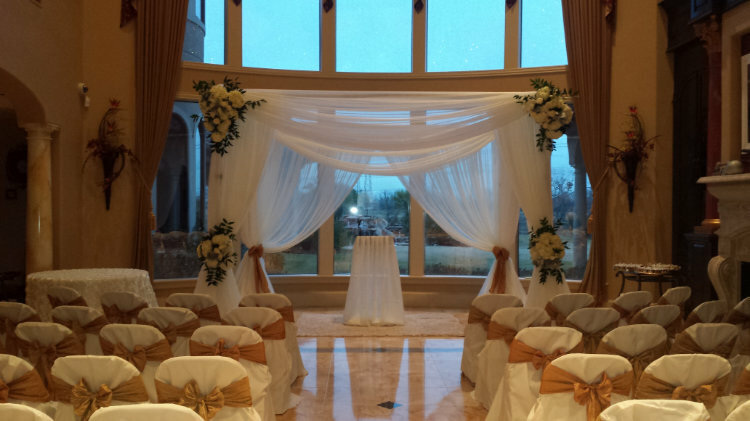 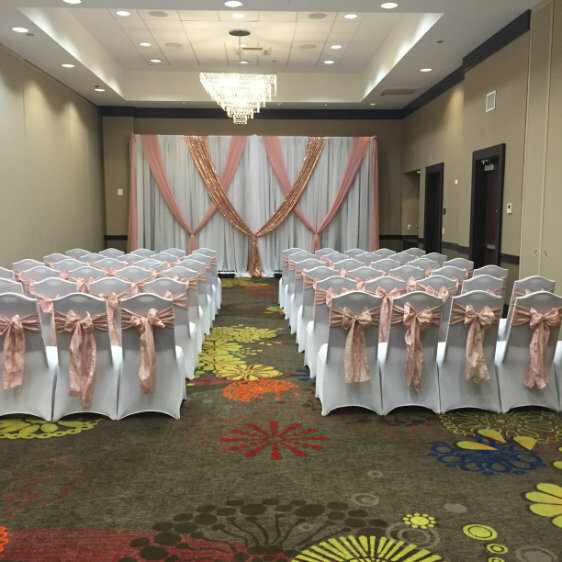 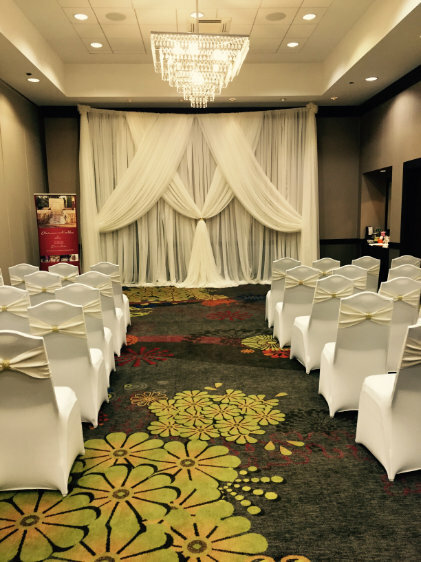 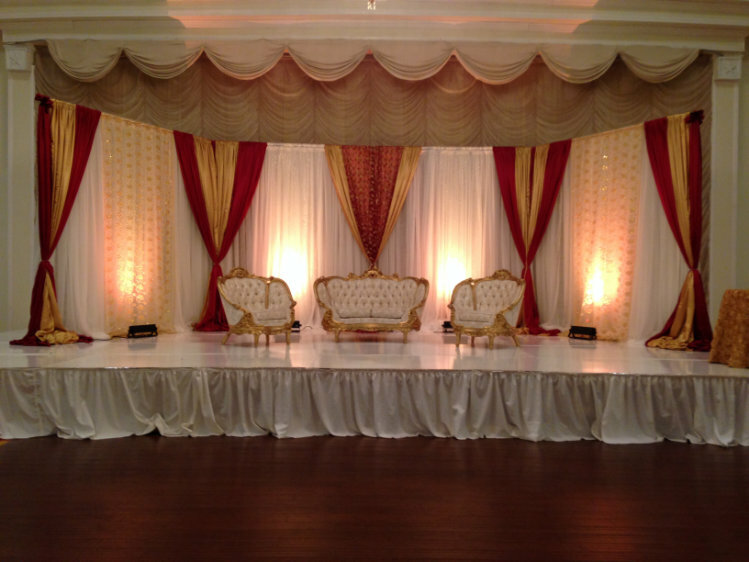 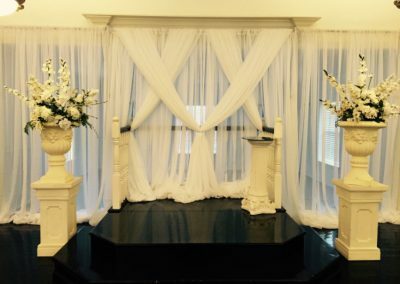 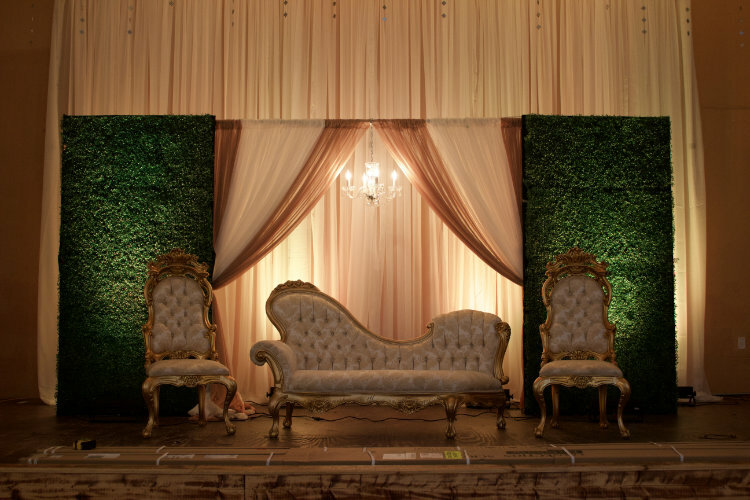 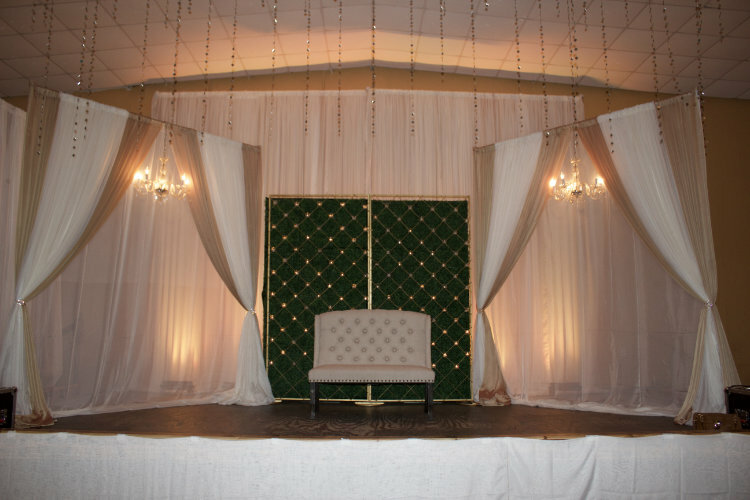 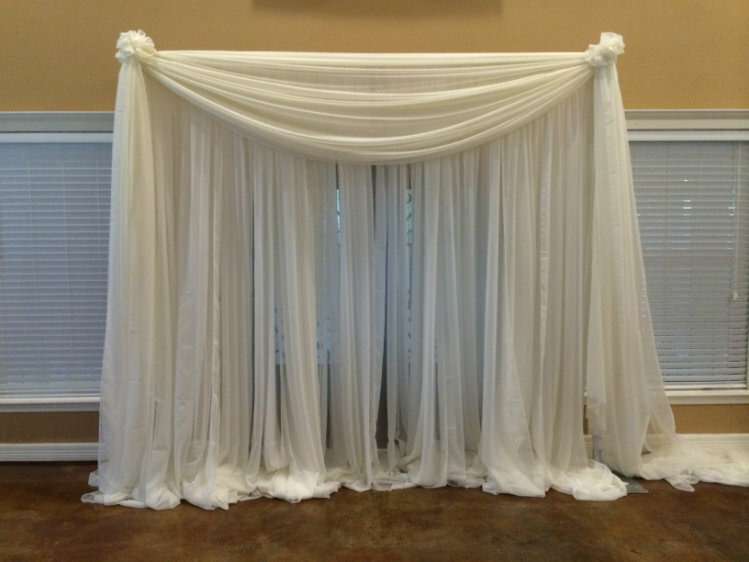 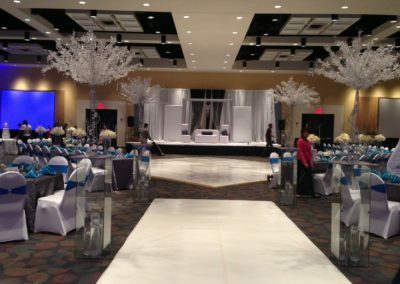 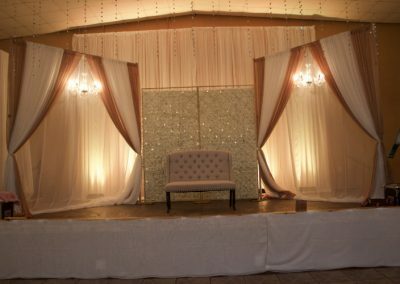 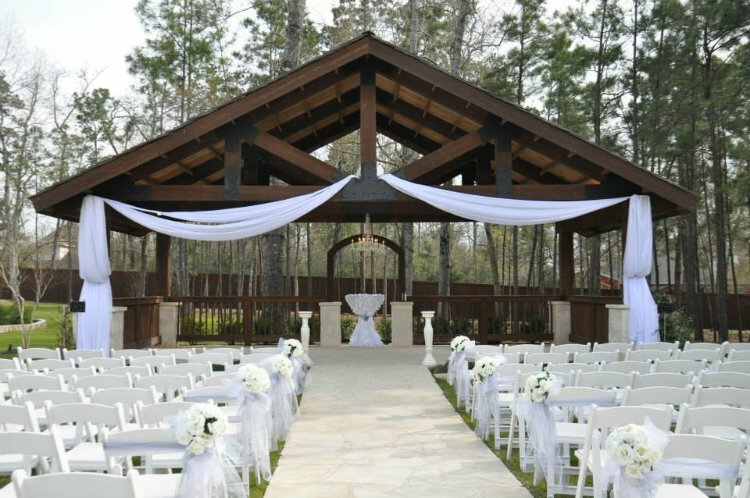 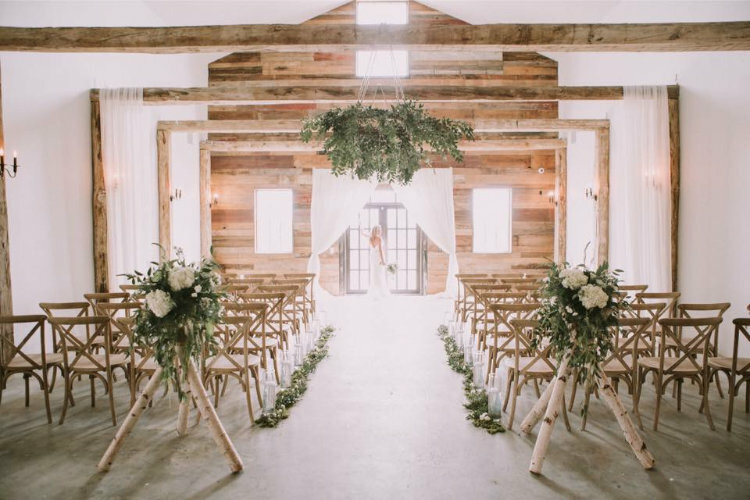 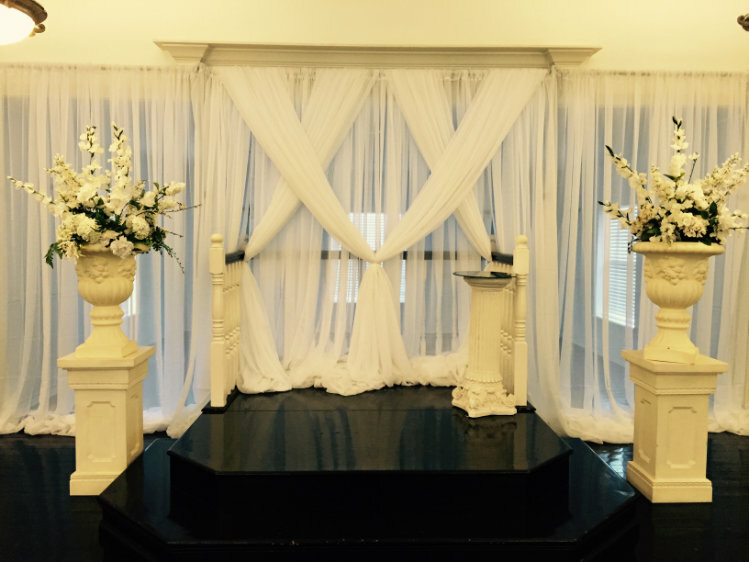 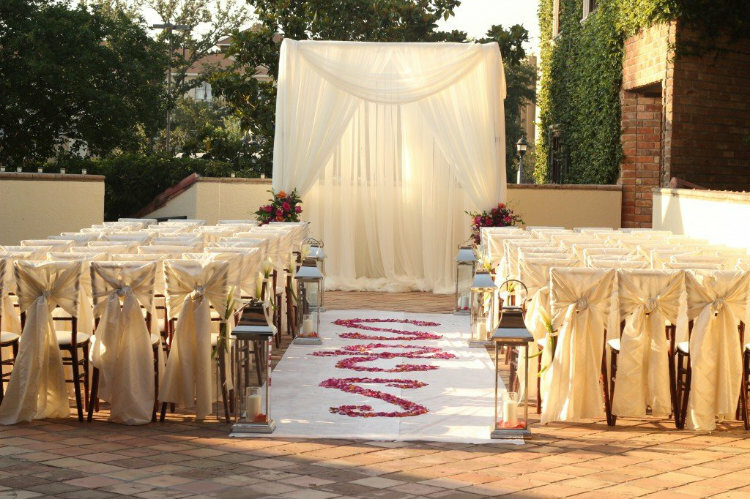 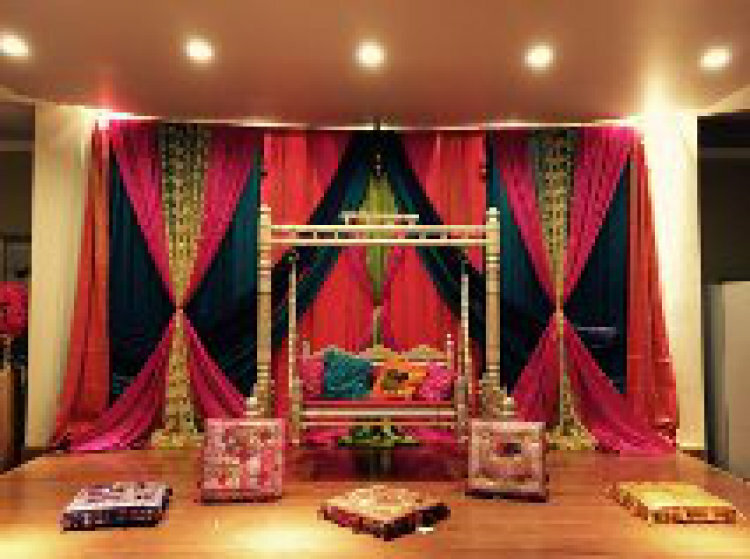 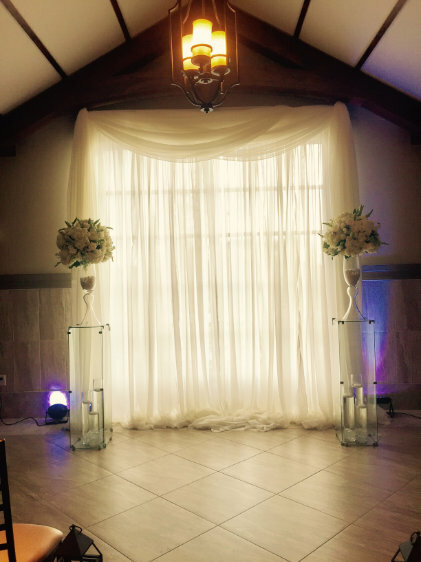 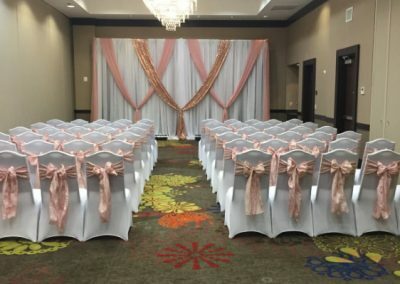 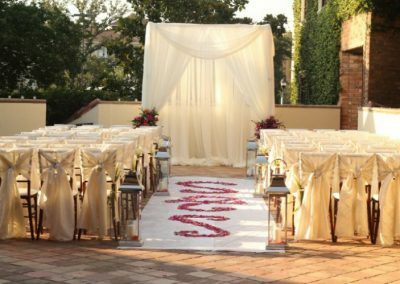 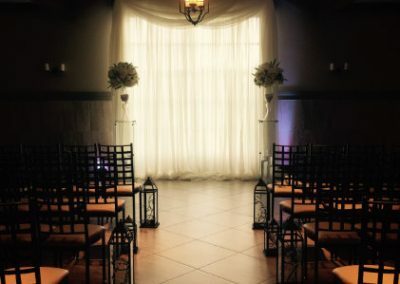 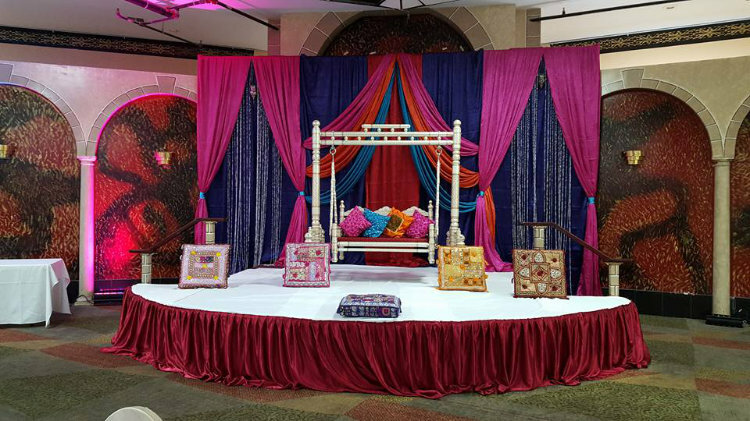 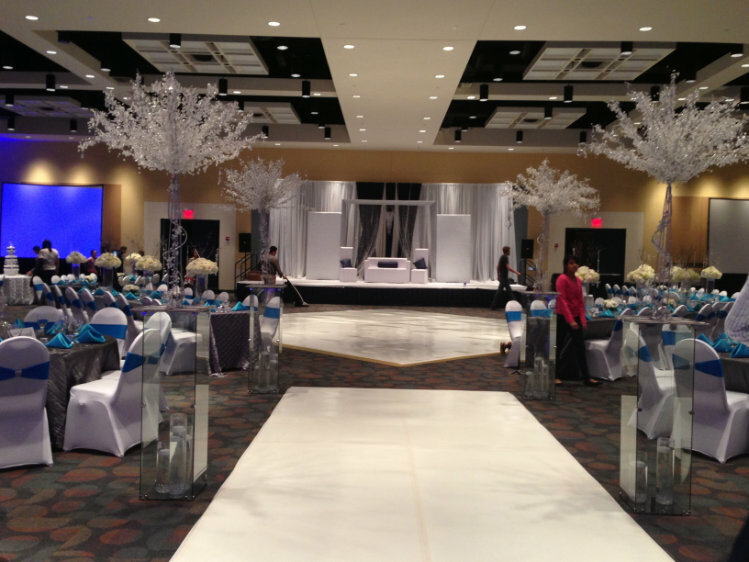 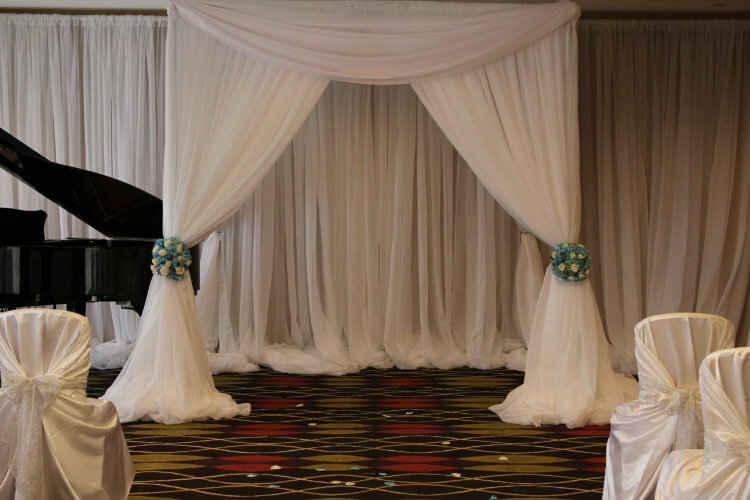 Pipe & Drape is an beautiful and easy way to add elegance to your wedding or event. 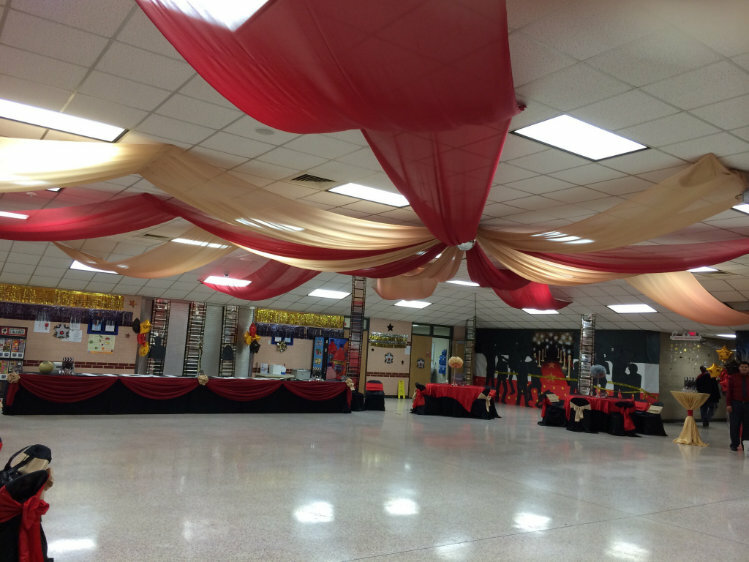 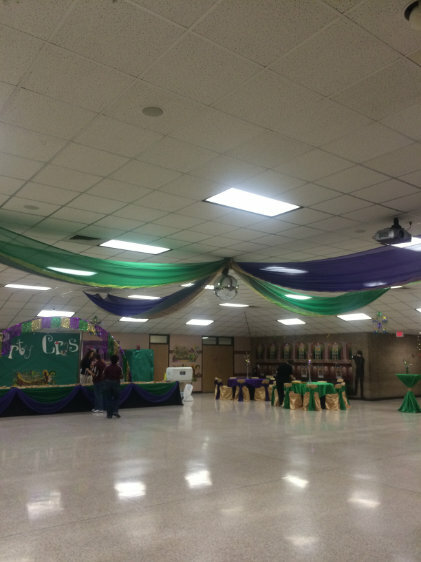 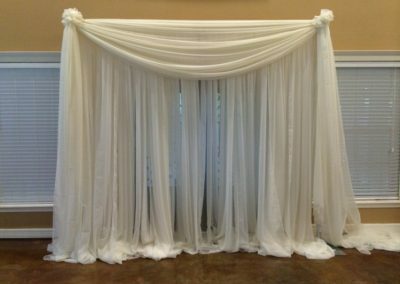 Pipe & drape is adjustable for a width of 7-12 feet, and height of 6-12 or 9-16 feet tall. 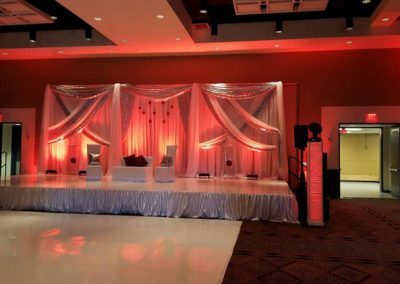 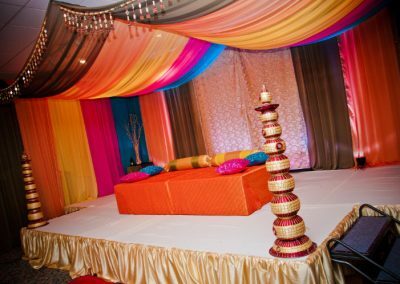 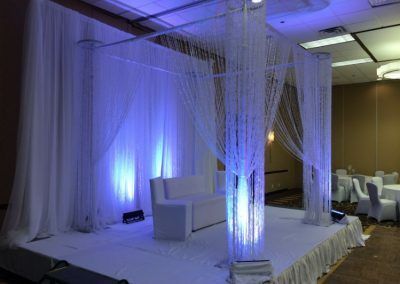 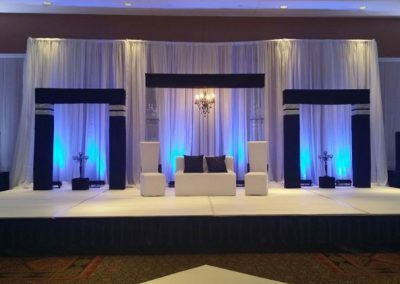 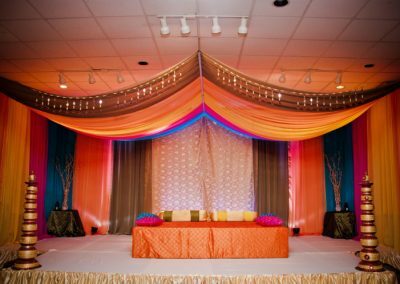 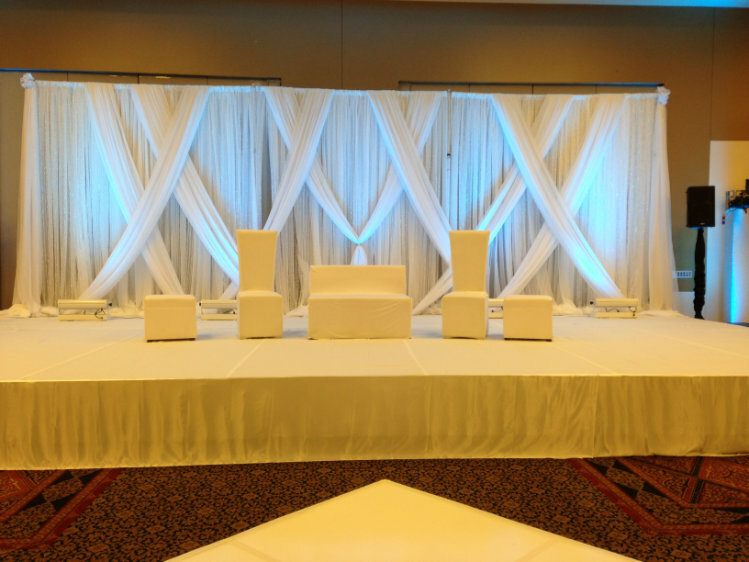 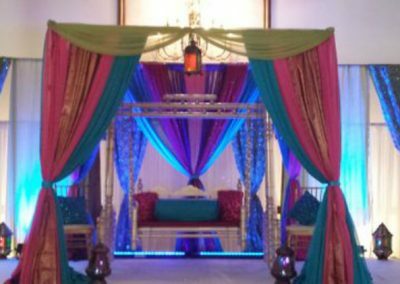 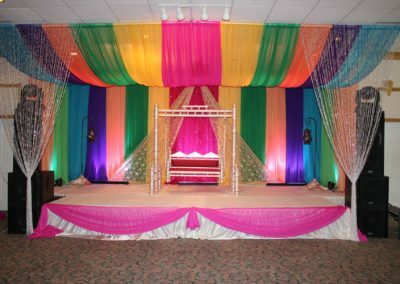 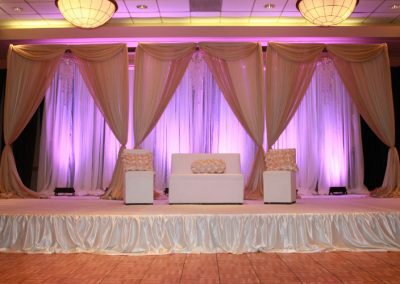 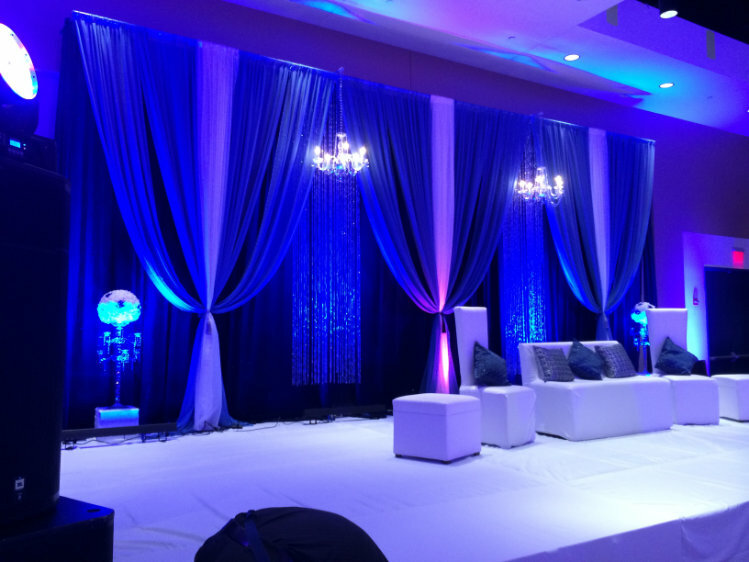 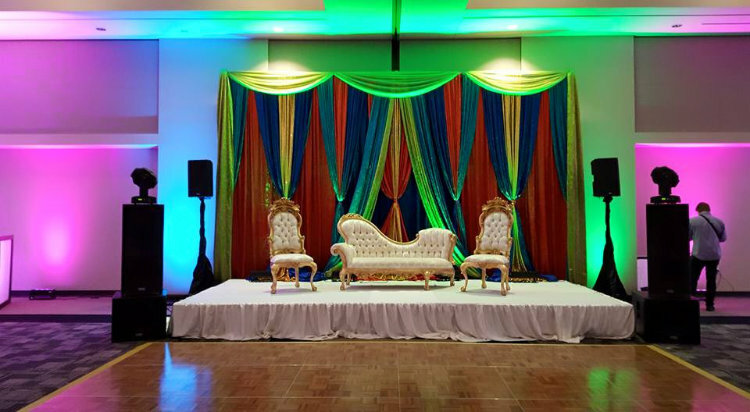 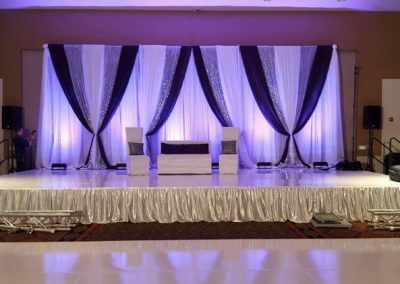 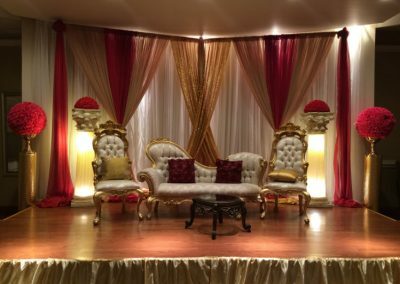 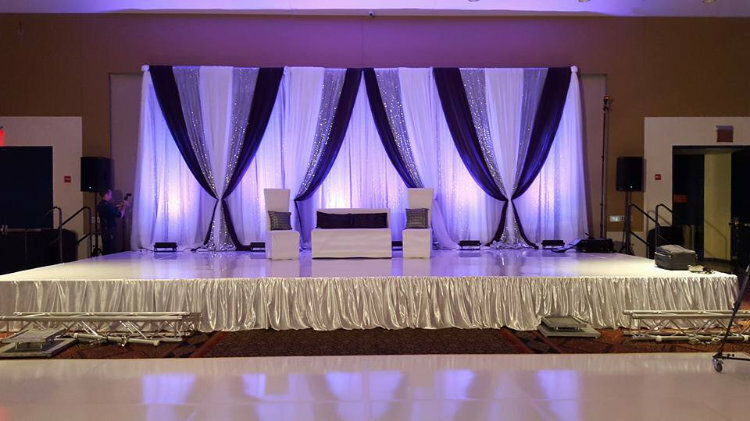 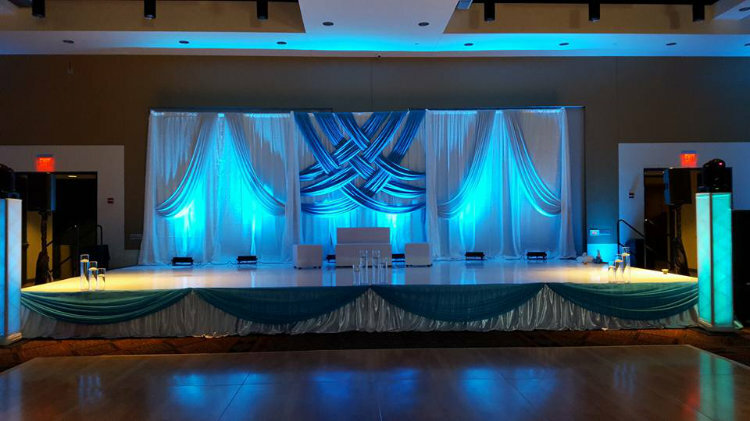 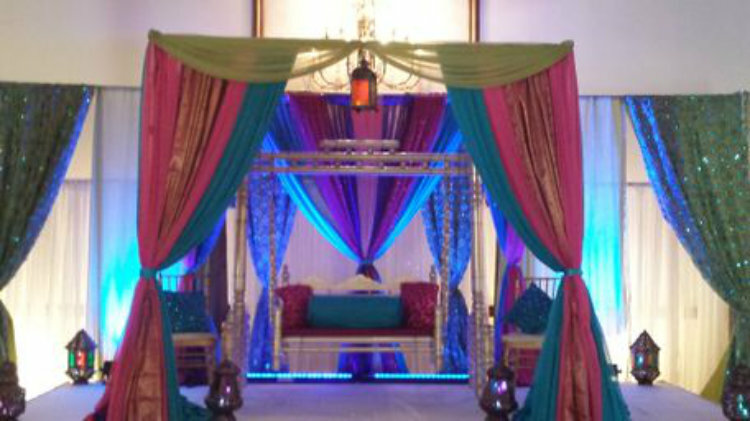 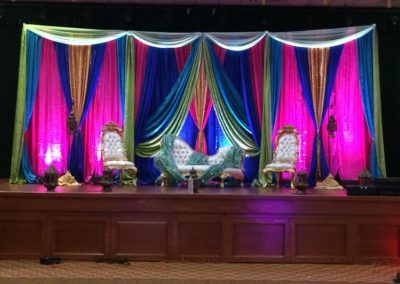 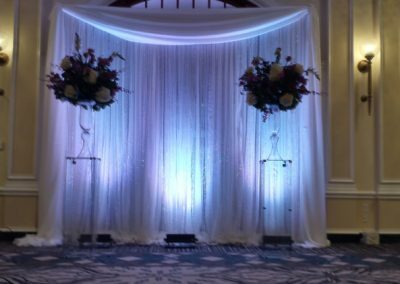 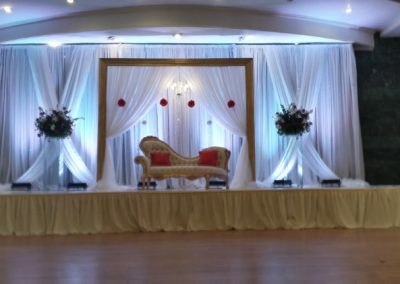 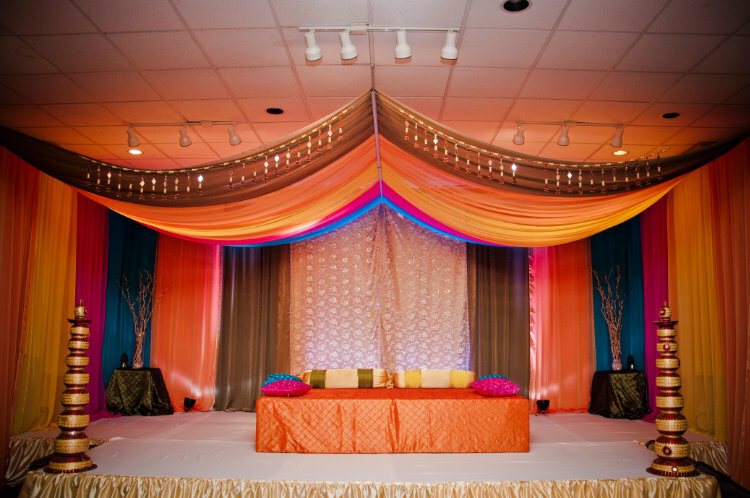 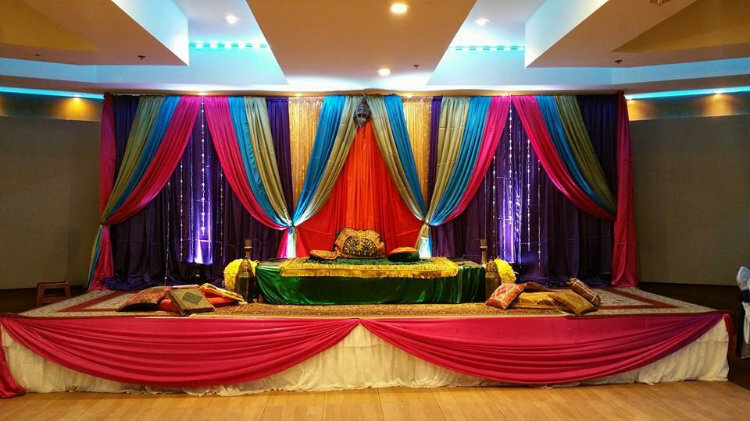 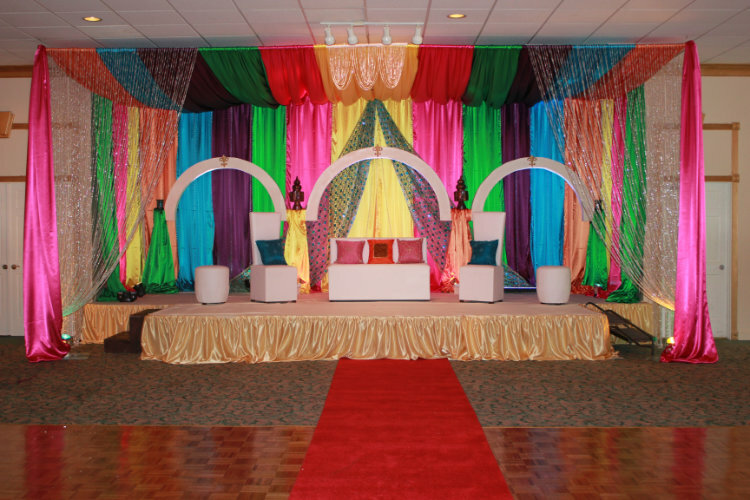 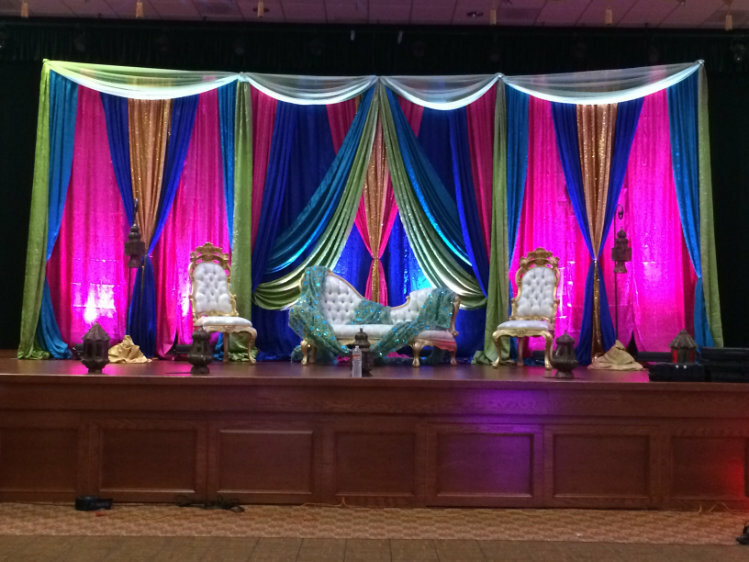 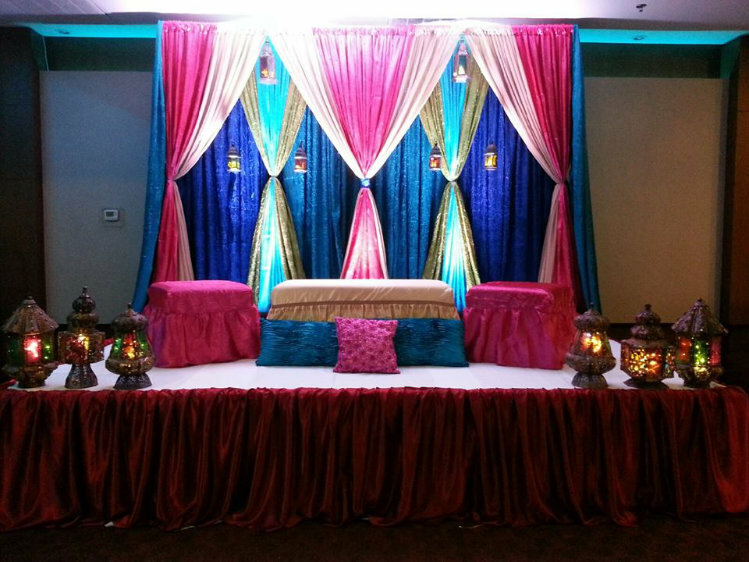 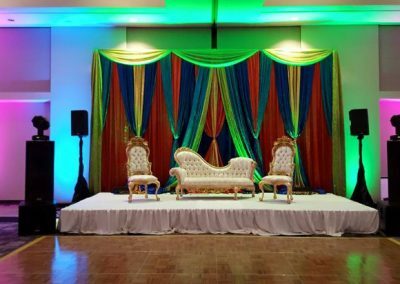 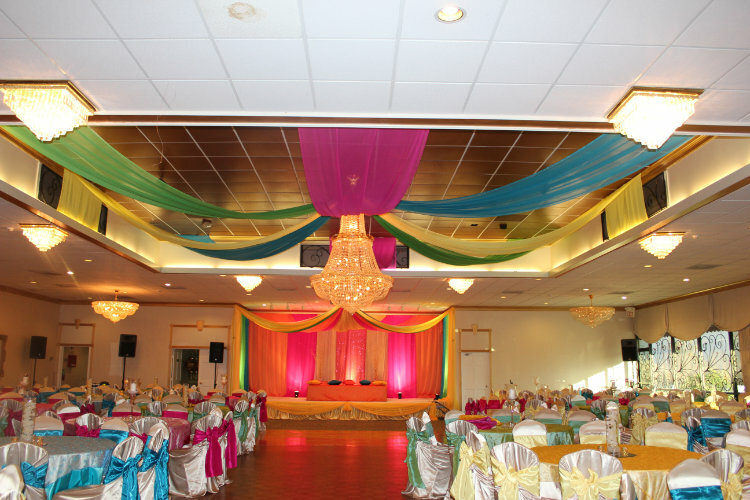 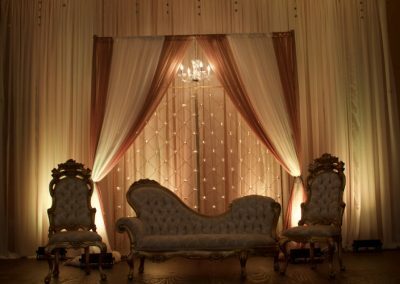 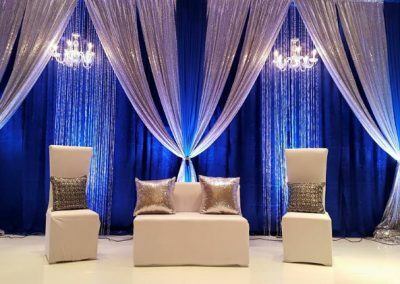 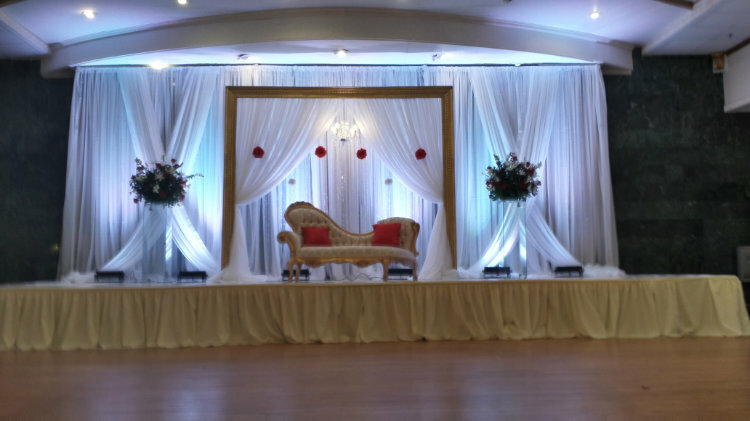 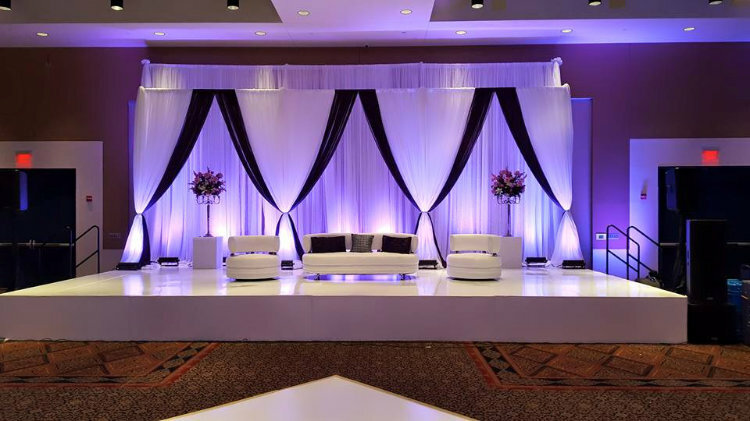 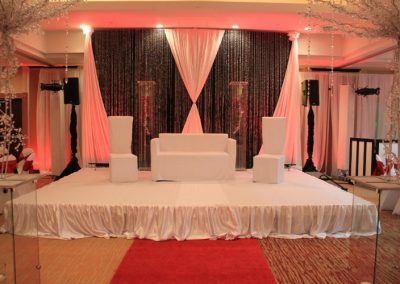 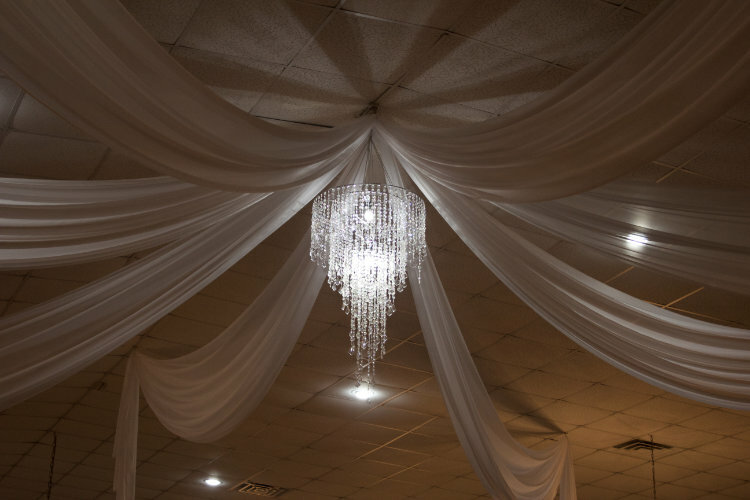 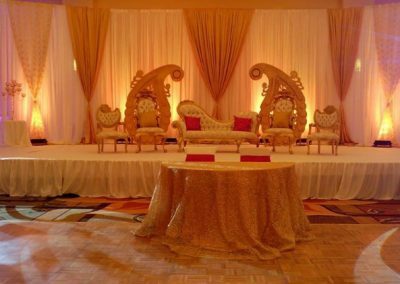 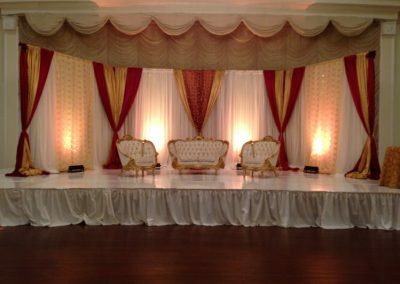 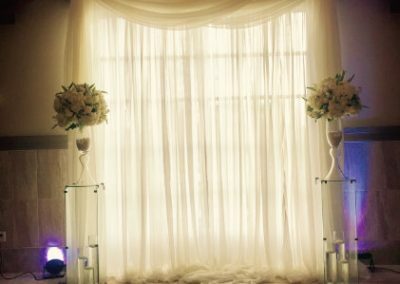 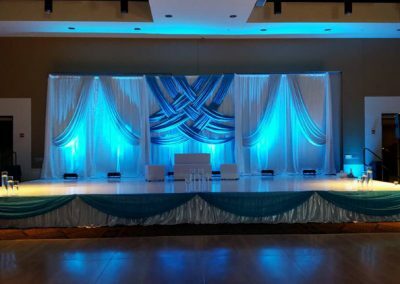 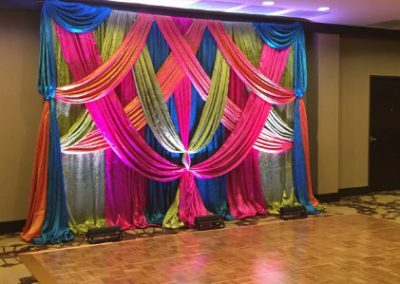 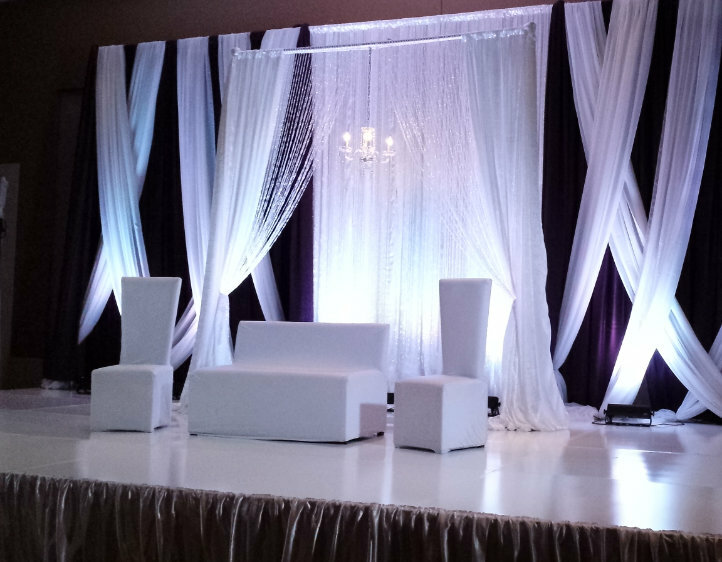 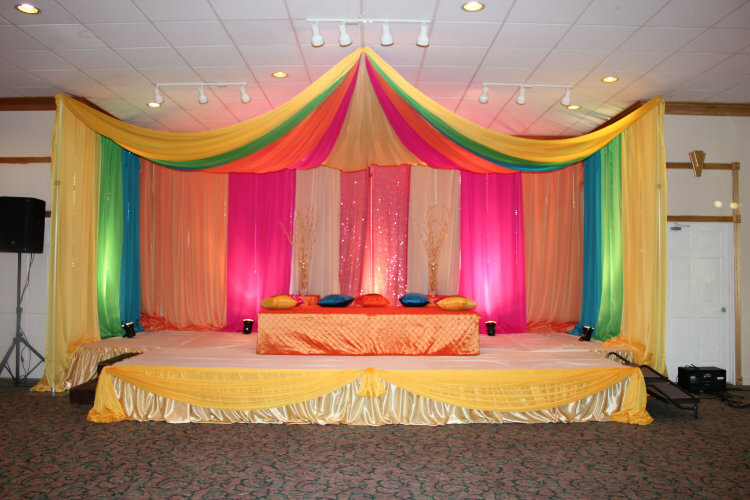 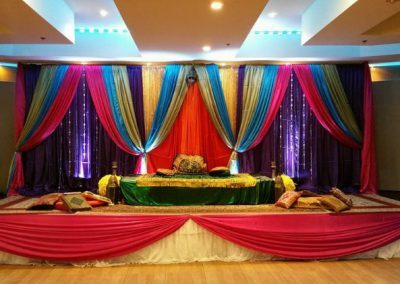 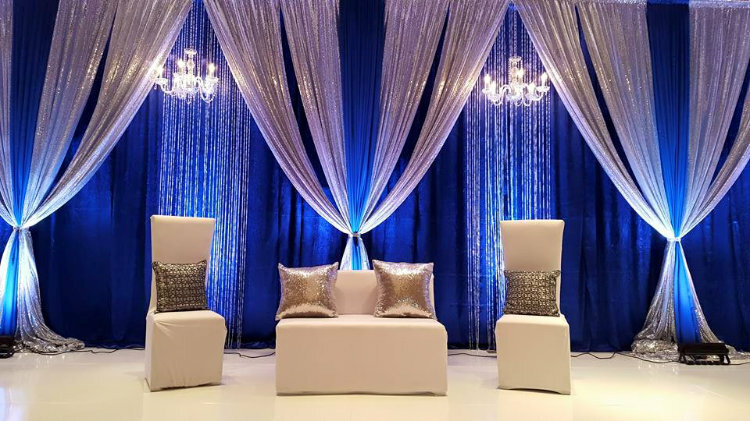 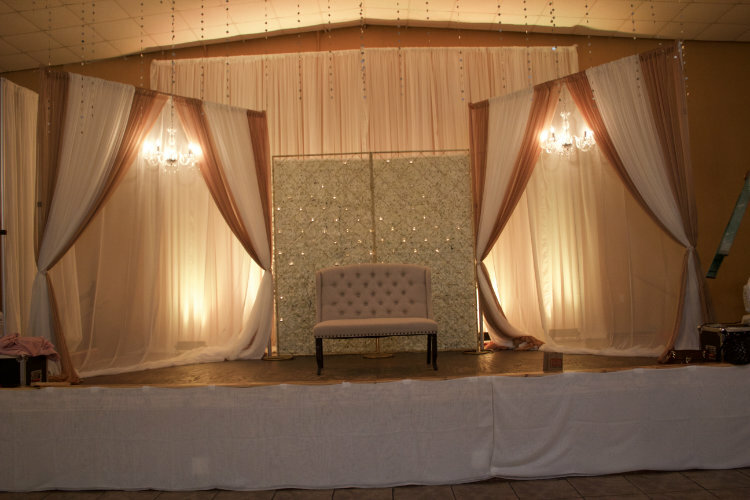 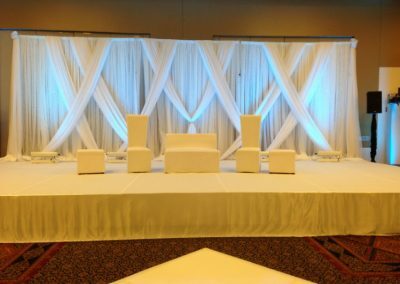 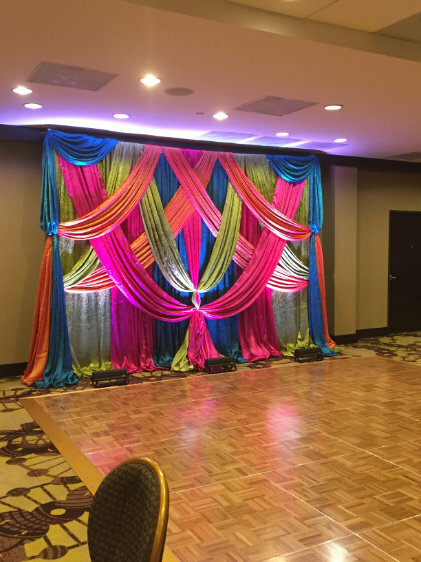 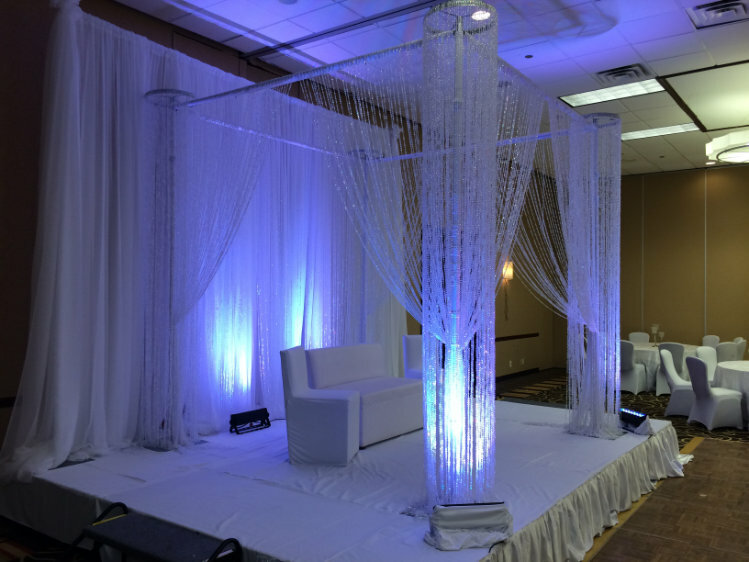 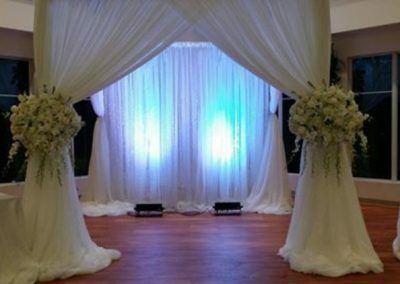 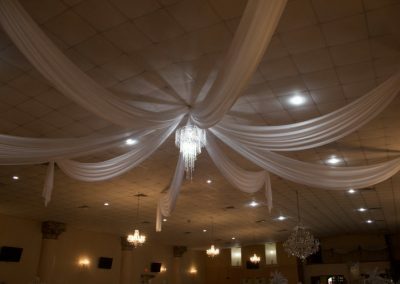 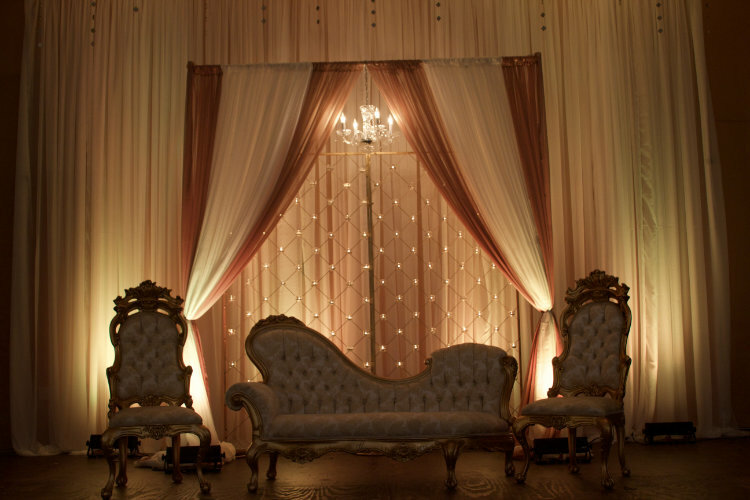 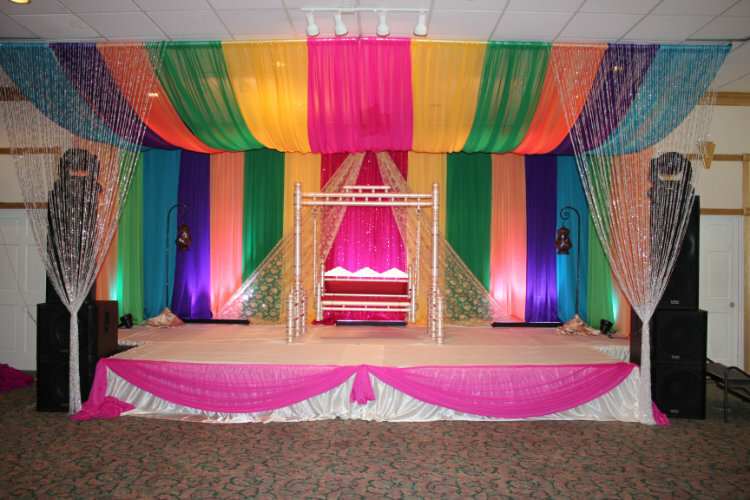 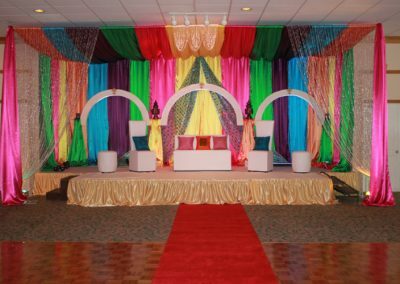 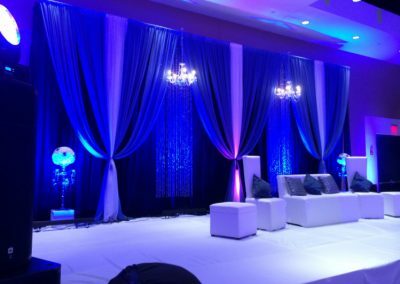 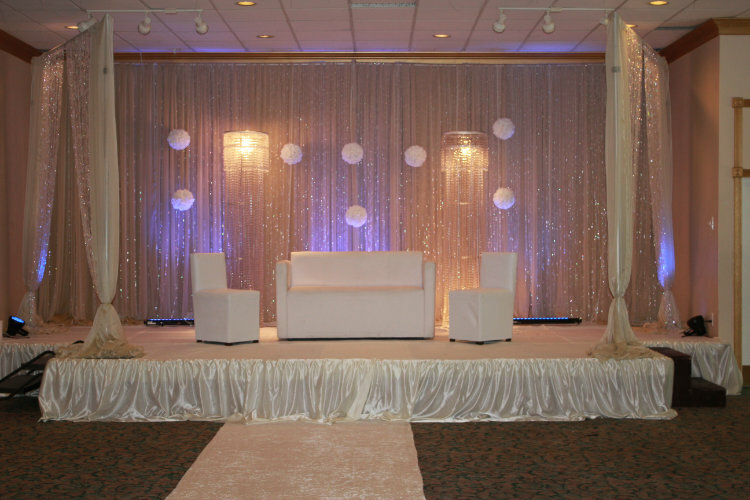 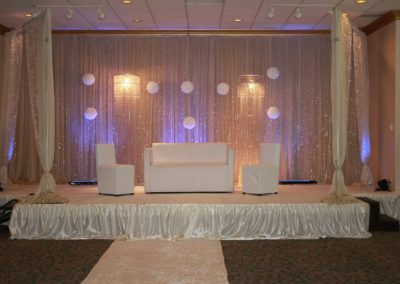 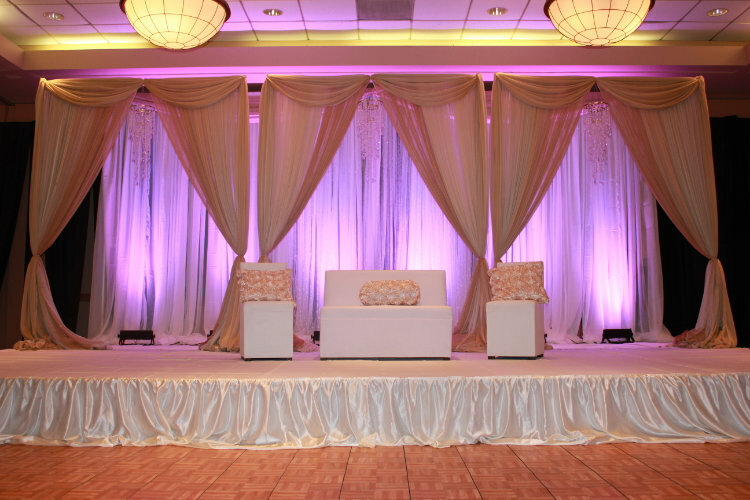 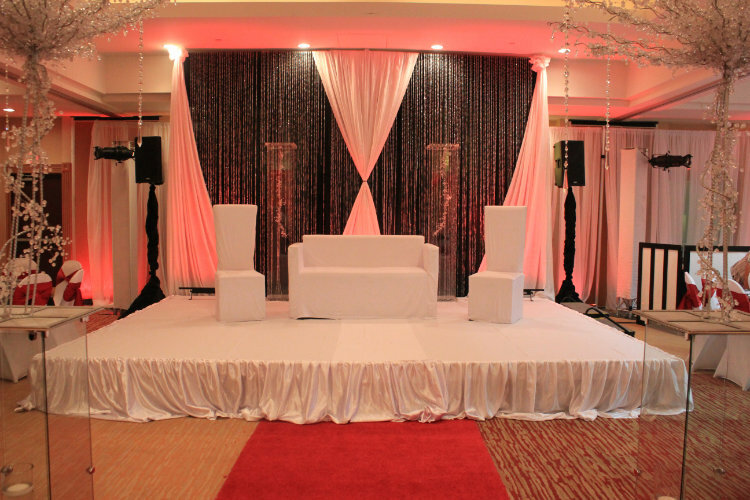 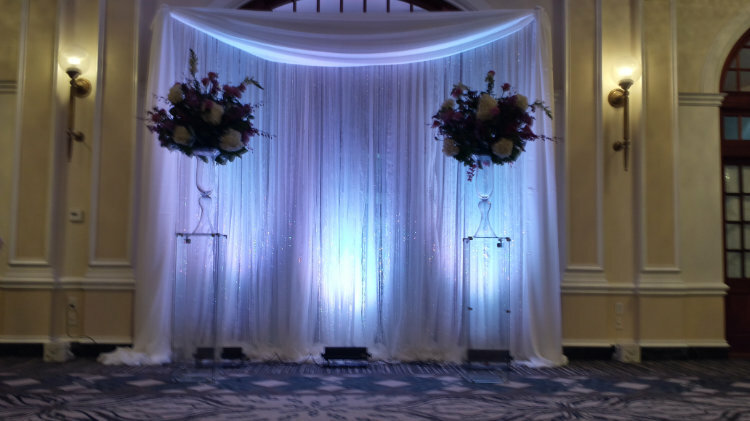 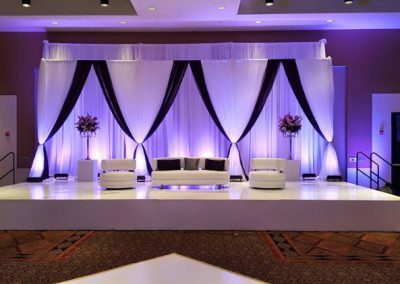 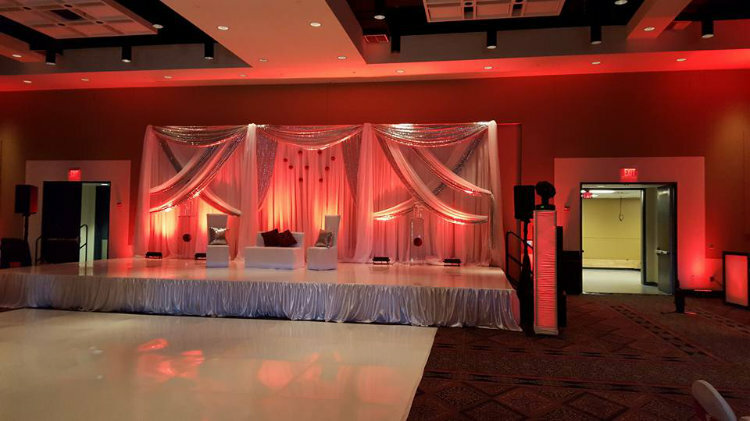 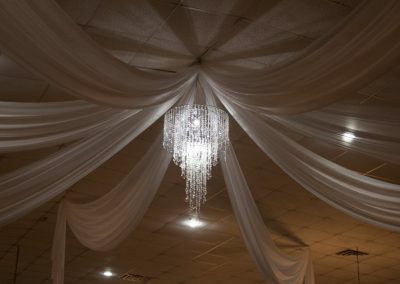 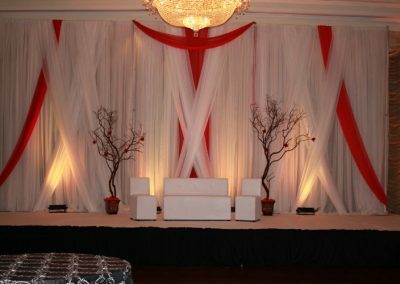 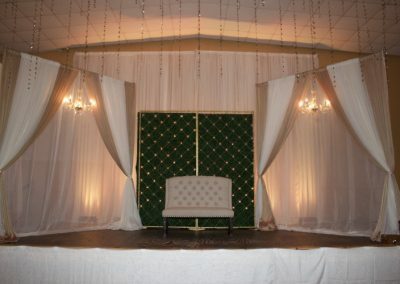 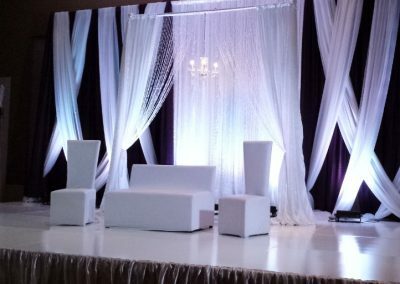 Choose from white or Ivory drapes, and add color with a lighting package. 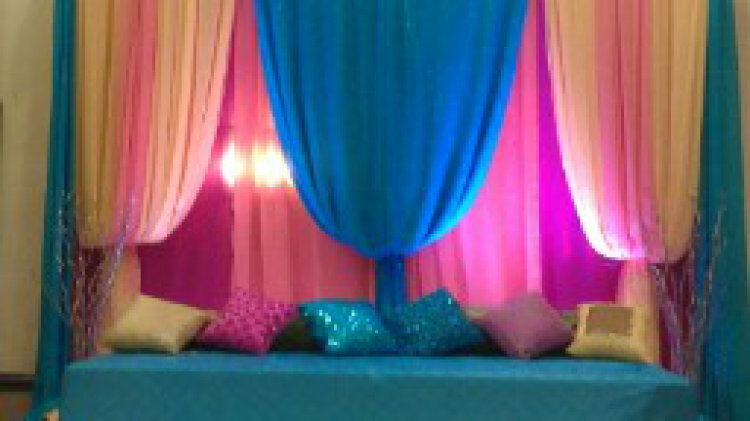 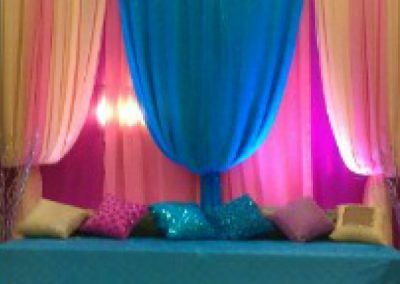 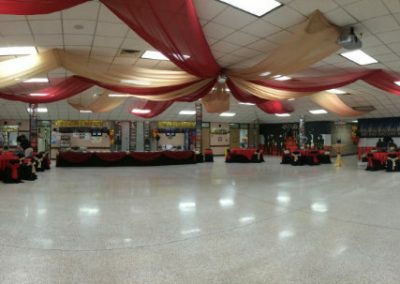 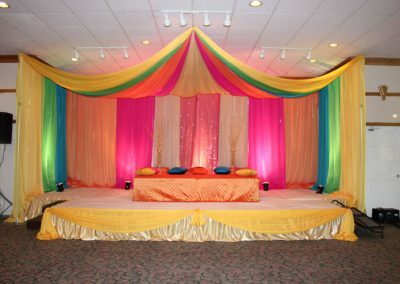 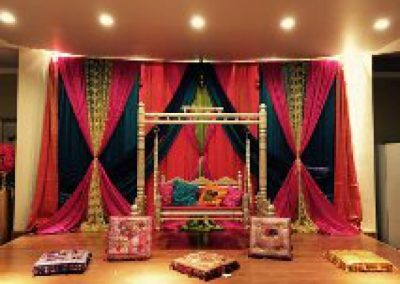 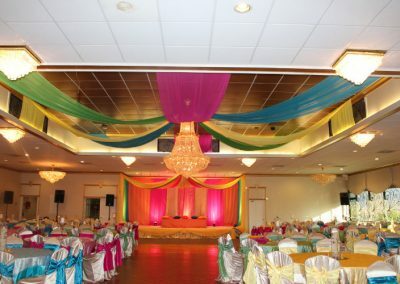 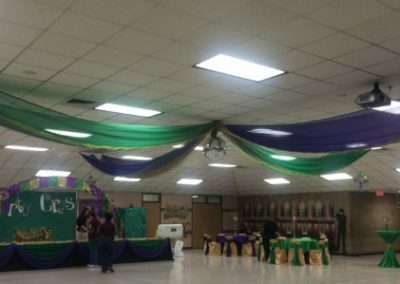 **We also offer colored drapes at an additional cost upon request.